Grower Champagne - David and Goliath of the Wine World. Alas! My favourite movement in the wine industry today. This convoluted world of wine holds a plethora of interesting, trendy, abnormal and of course hipster-esque movements popping up in every corner, year after year. But without any doubt, the one that I am always pulled back to and can’t seem to stay away from is that of the tiny growers in Champagne blowing up and taking some of that illustrious limelight from the world’s most recognizable wineries. Move over Moët, step aside Louis, it is time for the likes of these passionate farmers to start taking over the bubbly world! Before I get in to what exactly a grower Champagne producer is, lets establish why they are different from what you may be used to, or at least why they are different from what the Champagne norm has been for over a century. Champagne is a region that is dominated by large producers that both grow their own grapes, and also buy a large amount from grape growers throughout the region in order to make their very large amount of wine every year. This is the style that accounts for over 85%of the wine exported to North America every year, and describes the most internationally recognized producers. These houses are called Negociant-Manipulant or NM producers, a classification given by the CIVC (Comité Interprofessional du Vin de Champagne… CIVC) and means that the producer purchases more than 5% of their grapes from growers, and makes the wines at their facility under their own label. You may be familiar with a few or a lot of them. Names like Moët & Chandon, Louis Reoderer, Taittinger, Veuve Ciquot and so on, are all classified as NM. Up until 1990, the CIVC set the prices of grapes using the Échelle de Crus, a scale that ranked the villages where the grapes were grown. Villages that were given the maximum échelle of 100 were considered Grand Cru, anything between 90-99 were premier cru, and anything below 90 were simply considered crus. If your grapes were grown and harvested in a village that received a 95% ranking on the Échelle de Crus, you would receive 95% of the price set by the CIVC when you sold them to a Negociant. The highly regulated process illustrates just how common or normal it was for the process of grape growing, and wine making to be separate. For many years of course, the common pass to the next generation of growers would generally mean that they take over their family business and continue to farm, falling in to this system and continuing on. With French inheritance laws notoriously dividing land in to increasingly small parcels, it is also difficult for the growers of Champagne to start creating their own wines, it is an extremely expensive wine to create after all and you need enough to regain your investment and start making a few bucks. Often times growers that wished to make their own wine but did not have a means to do so or the money to front the process would turn to a co-operative of growers. They would pool their recourses and produce wine under single brand instead of selling to the big houses. This is called a Coopérative Manipulant. There is also the option to make your wine at a co-operative facility with grapes from your own vineyards, and sell that wine under your own brand, this is called a Récoltant Coopérateur. This next classification is the one that has been affectionately given the name Grower Champagne, and after all of that mumbo-jumbo, the one that I am dying to talk about. Here we are! Grower Champagne, Farmer Fizz, Peasant Bubbles and so on. All of these names refer to one of my favourite things in the whole world, and that is the wines of a Récoltant Manipulant in the region of Champagne. RM are the somewhat illustrious initials that you will find somewhere on the bottle of a Champagne made with a minimum of 95% of grapes that were grown on land that is owned by the producer of that bottle. That part is not all that new. There have been RM producers in the region of Champagne for a long, long time. What is new is the worldwide attention that some of these producers are now receiving. Something changed in the region in the late 70s and early 80s. From what I can tell, ground zero seems to be a small town just outside of Epernay called Avize, in the heart of the Cote des Blancs, a prestigious Grand Cru village known for exceptional Chardonnay, and the home of some of Champagnes most prized Growers. In the latter half of the 1970s, a young man in Anselme Salosse took over the winemaking and management at his family domaine. His lineage was that of centuries of grape growers in Avize, but it wasn’t until 1959 that his father decided to produce and sell his own wine, although in small portions of their production, only about 1200 bottles, this was a big risk after all. So, taking on this task fresh off of gaining his degree in viticulture and enology in Beaune, Anselme spent the first few years continuing the methods employed by his father. After a vintage that gave poor conditions in 1976, Anselme decided to make a change in his method, and from that point forward, he realized a freedom that was virtually non-existent in the region of Champagne, and could be as close to the inception of modern day Growers as one can find. Not long after this, another young winemaker was taking over his families domaine, just a short walk down the road from Anselme, also in Avize. In 1984, a domaine which was founded in 1894 and uncommonly bottled their own wines since its inception, had a new young vigneron stepping up to take over. With a similar passion to his neighbor, and drive to create something special, something individual, and eventually something that is truly unique and literally changed the extremely thick and demanding rule book in Champagne, Pascal Agrapart became the head of his family domaine. Of course there were others that were blazing this “Grower” trail, but when I ponder its beginnings, I can’t help but think of this amazing coincidence that these two pioneers started so close together in both time and proximity. The story just fits so perfectly. It could also be because I have spent a good chunk of time In Avize, and I am slightly bias… but I doubt it. So, lets use Champagne Agrapart and Pascal as an example here and dive in to what it takes to be a Grower Champagne producer or, Récoltant Manipulant to be proper. Champagne Agrapart as I mentioned is in Avize, a Grand Cru village in the heart of the Cote des Blancs. This is lucky of course since that comes with some prestige already. Pascal has 12 hectares of vineyards spread over Avize, Oger, Cremant and Oiry made up of separate patches of land and totalling over 50 plots. He works his land organically, makes and uses his own compost and goes as far as ploughing with a horse to avoid compacting the soil with a heavy tractor in his most prized vineyard, La Fosse, just a stone’s throw behind his domaine. Working this land throughout the year is a ton of work, and it is just the beginning. Once the grapes are harvested, work in the winery goes in to overdrive. Pascal produces around 90,000 bottles per year, which is absolutely tiny compared to the insanely massive and almost unimaginable amount that the largest houses pump out (we’re talking 8 figures) hence the David and Goliath reference, but he oversees and also executes nearly every task throughout the process with every cuvée, of which there are seven. Two of which he still calls “experimental”. He also employs some very labour intensive methods, like performing secondary fermentation under cork, which requires hand disgorgement once it is time to do so. Don’t forget about his highly sought after and extremely difficult to get “experimental” cuvee, Experience, which he created an entirely new method of secondary fermentation where he uses the current vintage press juice in place of liqueur de tirage. This method is very time consuming, very difficult, and also now written in to the CIVC’s book of rules and regulations (see I was being serious when I said he literally changed the rulebook). After 4 years of experimenting and trying to convince them to do so of course, in order to label this wine “Champagne” it needed to be written in, so this was a kind of big deal. So, now the wines are made and all of that craziness is over (spoiler alert, its NEVER over), it must be time for a vacation, no? Cue the loud obnoxious buzzer sound, not so fast! There is wine to sell now, lots of it, and who else is going to do it? Now these days Pascal is fortunate enough that his wines are in demand far beyond his supply, and he really does not have to ask anyone to buy them but, there is still a ton of work involved in both the logistics of distributing the wines, as well as the obligations that one has when creating and maintaining business relationships. There are tastings to attend, winemakers dinners, media obligations, collaborations, consultations, travel, so on and so on and so on. For a perfect example of this, I will tell you of my experience when visiting Domaine Agrapart. I have been to the domaine twice, just about a year apart, and hope to visit once a year for as long as I can. What is beautiful about these visits is that when I arrive at the tall stone walled property and solid steel gated entrance, it is none other than Pascal Agrapart himself that opens the gate and warmly invites us inside, not without addressing his very happy and excited dog to make sure we are not attacked with what I imagine would be nothing more than a slobbery hello. From there it is a few hours of uninterrupted discussion while walking through his domaine and tasting along the way, completely open and honest about his methods, ideas and philosophies. All of which are explained in a remarkably humble way for such a well-known and respected winemaker, he basically calls them ideas, and whether or not they are right, they are what he believes in. Another one of his “ideas” that we spoke about at length is that the terroir in which the grapes are grown is far more important than the actual grapes being used to make the wine, an idea that perfectly displays a new way of thinking in Champagne. About 7 years ago, he decided to rip up an entire vineyard of Chardonnay… in the Cote des Blancs. In the Grand Cru village of Avize. This already sounds insane when you consider the market craze for Blanc des Blancs Champagne from this region. So, here is something even more insane. He decided to plant in no particular pattern, equal amounts of Chardonnay, Pinot Noir, Pinot Muenier, Pinot Blanc, Petit Meslier, and Arbane… Come again? He planted What?... Yes, there are more than the 3 most famous and almost exclusively used grapes of Champagne, but you rarely see them, and even more rarely in a place like this. So, he grows all of these grapes interspersed together on a single vineyard sight, picks them together, co-presses them together, and treats it as if it was one single varietal. All of these methods have been used before, but never like this, and never on this land with these grapes with any sort of purpose. This is an experiment for himself more than anything, and he simply wants to find out if he is right. So he simply decided to execute the experiment which will take years to perform on some of the most sought after vineyard land in the world. Is it really the terroir that matters most? So far, from what I have tasted of this cuvee he is definitely on to something, the wine fits in without a hitch alongside the rest of his highly terroir driven lineup, and I can’t wait for the vines to grow and dig down over the years to see what sort of conclusions can be made. This is what has me so hooked on grower Champagne. This intense passion and curiosity that drives someone that has no reason to conduct these wildly risky and certainly costly experiments other than a love for what he does, an unquenchable thirst for enological discovery, and a respect for the land that he grows his vines upon. For so many years it has been a sort of Groundhog Day in Champagne. The methods have been much of the same, the grapes planted are basically predetermined by where you are located, and the resulting wines, while still delicious and hold much to discover, have become predictable. These pioneers like Pascal Agrapart or Anselme Salosse are ushering in a new era, and the amount of completely new, unique, and game changing wines that are now available through more and more Growers just like them and continuing to pop up year after year is truly astonishing. A few weeks ago, I sat down with Frederic Savart of Champagne Savart, a domaine that is absolutely blowing up at the moment, and couldn’t believe the energy and passion that he showed when talking about anything that had to do with wine, his or otherwise. Hearing some of the things that he is doing, the ideas that he has and tasting the resulting wines was yet another mind-blowing experience. Not to mention we spent a short time discussing business all while he was orchestrating dégorgement, and operating a pump truck and navigating his tiny space, another testament to the extreme work load it takes to be a successful RM Champagne producer. Just a few days after that I visited with Justine and Froncois Petit-Boxler of Champagne La Rogerie, a brand new domaine that only released 503 bottles of their very first Cuvée, “La Grande Vie” a few months ago. This was an yet again, an amazing experience, and one that deserves an entire story dedicated to it, so I won’t go as far as I want to, but this visit was just another example of this racing pulse that is beating through Champagne and showing no signs of slowing down. The guard seems to have shifted, and generations are now taking over with thoughts of creating beautiful wines, and bringing in their fresh ideas that will continue to remold the region over the years. It ultimately gives us, the drinking public, new and amazing opportunities to experience something that wasn’t possible even a decade ago. For these opportunities that I have been on a mission to take advantage of, I am highly grateful. I can barely contain my excitement for what is to come, and most of all, I hope that more and more wine lovers, casual drinkers or even just the odd person that happens to be at the right place at the right time gets to experience these sensory marvels that are now able to make their way out of the world’s most famous wine region and on to our tables. Once again, I am off to Champagne! I know, it is a tough life I live…but someone must live it! The land of bubbles. Synonymous with celebration and good times, Champagne is one of the most recognizable wine regions in the world, and yet probably one of the most misunderstood. All Champagne is sparkling wine, but not all sparkling wine is Champagne. This is a sentence that I wish more were familiar with as it is the single biggest mistake I hear people make time and time again (and I am a bit tired of being the guy that corrects people at a dinner table or during a festive soirée). I won’t get in to the fine details of what makes the wines of Champagne so special, but I wanted to talk a bit about why I am so obsessed with this region and why I get so excited when I am about to visit. I try to visit the region in the off season. This is mostly because I prefer to avoid the massive hordes of tourists that fill the streets of Epernay and Reims during the warmer months. This is okay for me because I usually have scheduled meetings to discuss business (my day job is importing these beautiful wines) and therefore I don’t have to worry about restricted or even completely unavailable hours. If you are visiting as a tourist however, I always recommend being very well prepared and pay attention to hours. This is not Napa and they do shut their doors for weeks at a time, so be cautious. If you want to be even more adventurous however, branch out into the countryside and visit some of the smaller towns. You will almost always have to call or email ahead of time, but visiting some of Champagne’s smaller producers can turn your wine tasting experience into the authentic old-world fantasy that so many North Americans are dying to have. It is truly refreshing to get away from the crowded rooms or flashing cameras and speak with the people that actually tend to the vines and make the wine. This transitions perfectly in to why I am so obsessed with this region. The modest Domaine of Champagne Agrapart in Avize. The heart of the Cote des Blancs. The wine list at the 3 Michelin star Arpége. Paris. Grower Champagne. I tend to dislike trendy terms, and “growers” has certainly become one of them, but I have nothing but love for these trailblazers that are going up against the most successful and widely recognized wineries in the world. It is hard to imagine that there are thousands of producers in the region of Champagne, and yet for so long, only a handful have been relevant on the world-wide market. That however is starting to change, rapidly. Grower Champagne is a type of Champagne that is made by the domaine that grows the grapes (to put it basically). This means that all of the grapes that are used for wine making are grown, cared for, and harvested by the producer them self. This sounds normal when thinking about winemaking as a whole, but Champagne has been long dominated by larger houses that purchase their grapes [or sometimes already pressed grape must] from growers scattered across the region, and then blend to create their wines. Grower Champagnes will sometimes be labelled with a “RM” (Récoltant-Manipulant) on the label, while these larger houses will be labeled with a “NM” (Négociant-Manipulant). Grower Champagne has really become a hot topic in the last decade or so. It wasn’t until the 1980s that the “pioneers”, now highly regarded and uber famous (among the winos and sommelier), started their ambitious journey to the superb quality and terroir driven style that defines that market today. Since then it seems that many more are following that path and the world is taking notice. It used to be Dom Perignon, Crystal, Krug, Comte de Champagne gracing the top of the world’s best wine lists; while now that is a time of the past. While those are all still great wines and certainly remain on the best wine lists in the world, the time has come for the small, ambitious, and passionate growers to take the spotlight. It always brings me a rush of joy when I sit down at a famous restaurant with a passionately curated and well put together wine list to then see Jacque Salosse, Champagne Agrapart, Egly-Ouriet, Jerome Prevost, Frederic Savart…all of them staring back at me atop the list and sitting beside the largest and most successful wineries the world has ever seen, while fitting in perfectly. It is such a pleasure to see this changing of the guard happening in a region that has been without change for so long. There are other movements in the wine world. Natural wine (Ughh) comes to mind. Small regions that had no attention starting to gain some spotlight as well. There is always movement and exciting development stirring in the world of wine, but there are none so compelling, so David and Goliath-esque, as the Grower Champagne Movement that is quickly changing the landscape of the world’s most recognized, and talked about, wine region. THIS is why I am so obsessed with Champagne, and THIS is why I can’t stop returning to seek out the next passionate, driven, and defiant producer that is striving to make their mark on the pages of great bubbly. So, hop on and come with me as I embark on my next adventure through one of the greatest places on earth! Let’s sit down with some of these trailblazers and find out what’s next on this wild ride that is Grower Champagne. Red, red, wiiiiine...so good to meeeee! The story continues with the ever-so-intricate world of reds. So many people swear by only drinking reds, and whether or not I agree with that, [SPOILER ALERT, I DONT! ], I think it is a topic that needs some extra focus. I previously mentioned in another post (Wine 101 - How its Made) the basic process of making red wine, but I think for the purpose of this section it is worth reviewing and going into a bit more detail. The main difference between white and red wine making lies in the use of extended skin contact, and that's really about it. The reason this is necessary is that, whether or not the grape skin is green, yellow, red, purple or nearly black, the juice on the inside is all the same - clear. There is a social lesson that can be taken from that last sentence...Anyway, the process of extended skin contact or "maceration" is done in a variety of ways and each one of them performed with a multitude of variation. To keep it simple, I will break down the three most common methods and their basic process. Punch Down: Also referred to as "pigéage" (french winemaking terms, such as this one, tend to get used quite often globally) is quite self explanatory. The skins will float to the top of the fermentation vessel and form what is called the cap. Once the cap is formed, the winemaker can employ the punch-down method to promote extraction of colour and tannin from the skins, among other things. This is a rather delicate process and does not allow heavy oxygen contact during the process. The method is simple and requires a rather strong person to essentially push the cap down into the grape must with what looks like a giant plunger. If you ever want to get a great workout, volunteer at your local winery to perform punch-downs and you will be sweating up a storm in no time. Pump Over: Also referred to as "remontage", although curiously I hear this much less than pigéage...just a thought. Pump-Overs are also rather self explanatory. This is performed by hooking up a hose to the bottom of the fermentation vessel and pumping the grape must back over the cap to promote extraction and even contact with the skins. This method allows more oxygen contact to a smaller surface area of juice as it is being pulled out of the tank and poured back in. This process described as being less delicate. I personally have always enjoyed the smell that you get to enjoy when a pump over is being done, and it always puts a smile on my face. Racking or Rack and Return: Also referred to as "délestage", and this one I hear often once again. One of the more confusing wine terms, and almost always gets mistaken for something completely different, racking is the process of emptying the tank and pouring the must back over the remaining skins to promote extraction. It is NOT stacking your barrels, or bottles, or pouring the wine in to some special rack as I have continuously been asked and understandably so, considering the name. Racking also allows a large amount of oxygen contact since you are pouring the must in to an empty vessel. This is usually described as the least delicate method for promoting extraction. Racking is also used to remove the wine and leave its "lees" (dead yeast cells) behind after fermentation is complete, but lets focus on the extraction method for now. Each of these three methods can be done in a variety of different ways. A big decision that a winemaker can make when employing any of these methods is the schedule that they decide to apply. The more often you perform any technique to promote extraction, the more extraction you will get, no matter how delicate the method. It is also important to understand that all of these methods allow some amount of oxygen contact, and that must be considered as well. To be truthful, I don't believe one method to be far superior to the other and I have had great and terrible examples of wines that have been made using all three. These are simply pathways to arriving at the desired destination and each of them have a few nuances they can add (or take away) from the final product. The wonders and mystery of oak, how so many people can smell you, and yet just as many have no idea what you smell like. Okay that sounded a bit fesicious, but seriously, why is it there is always one person in the group that gets "beautiful oak" on the nose of every red wine? Well probably because it is talked about way more than it should be and so many people have drank the Kool-Aid. I actually adore the topic of wooden vessels that are used to age wine and it is almost as complex as the wine industry itself, so this will undoubtedly be a whole topic I shall write about all on its own but I just wanted to quickly touch on it here. Most red wine spend some amount of time in barrel, yes, that is true. What most people don't realize is that most of the barrels used to age these wines are not being used to add any flavour at all and they are usually rather old and therefore pretty neutral in said flavour. There are many variations in size of oak vessels and even more variations of origin of tree, amount of toast (how much the inside is charred), seasoning, and so on. The reason I wanted to touch on this was basically to say cool it on all of the oak talk. As a somewhat experienced taster I will say that oak on a red wine is probably one of the most commonly screwed up things even good tasters get stumped on. I do promise to cover this topic in much depth, but for now...Feggett-about-it! We all have our favourites and some are loyal to a fault, but with so many grapes being used for winemaking it can be hard to narrow down a few that are worth looking a bit further into. With that being said, I think it is best to get to know some classics, find out what seems to agree with you, and follow your curious palate from there. So, without further delay, here are five good grapes to start with. P.S. A lot of wines made around the world are actually blends of a few [or a lot] of different grapes, so don’t turn your nose up just because it isn't made with a single varietal as you will undoubtedly miss out on some real show-stoppers. Bordeaux, Chateauneuf du Pape, Chianti, Amarone, Rioja...you catch my drift. Merlot - Please, please, please don’t be the "I don’t like Merlot" person as it is getting old and it sounds ridiculous; I don’t want to come across as angry, but there are some seriously delicious wines that are made with, or based around, Merlot (hence its popularity). If I could go back in time and stop Paul Giamatti from uttering those words in Sideways, I just may...even though I love the movie. Anyway, Merlot is a grape that is delicate and not overly aromatic with a very approachable texture on the palate. It tends to show aromas of plum and other red fruit, although it commonly has ample black fruit as well (blackberry, cherry) and does rather well with a solidly implemented oak aging program, taking on flavours of sweet spices like vanilla. It also has the tendency to hold hints of chocolate in one form or another as a nice little nuance...and who doesn't like chocolate? It is the most heavily planted grape in Bordeaux and some of the world’s best examples come from the right bank regions of Saint-Million and Pomerol. It is also heavily planted worldwide, finding great success in the US with California and Washington. Cabernet Sauvignon - If it were up to me, I would probably not include Cabernet Sauvignon as it is almost a no brainer these days. It has risen in popularity throughout North America to the point where the term "Cab Sav" has become recognizable shorthand in almost every circle. Much like Merlot, Cabernet Sauvignon is a part of the Cabernet family, so they do share many similarities and are blended together almost routinely around the world based on complementing each other very nicely. Expect a more intense aroma profile than Merlot that will almost seem to jump right out of the glass. Often synonymous with black currant (and a very dark fruit nose all together), this grape also enjoys spending time in barrel taking on smoky and often sweet spice aromas. The structure of Cabernet Sauvignon is also much more intense; high tannins (the stuff that dries out your mouth) and high acidity are almost a guarantee and this allows the wines to age a bit longer than some of their softer counterparts. This is a wine that does best accompanied by a robust meal and will usually sing next to a BBQ steak or rack of ribs...hungry yet? This is also another grape we can thank Bordeaux for, but sees less planting in the region and generally finds its home on the left bank. Also finding great success worldwide and once again enjoying a cozy home in the US, it tends to be more concentrated in the warmer climate of California. It has also been quite successful in Australia (Goonawarra and Margaret River are worth giving a try) and Chile. Syrah/Shiraz - Mmmm mm mmmm Syrah! I don’t want to make it obvious, but I really dig Syrah. A grape that most of us North Americans know as Shiraz (the Australian name for Syrah [French name]). This is a grape that has possibly fallen victim to mass production and giving a lot of people headaches from a bottle that may have a yellow label...I am not accusing, just observing. Syrah can show a wide range of fruit, from red to blue to black, but what makes it so pleasant is the floral aromas like violet and lavender; and then just as you think this is a delicate and feminine wine, it slaps you in the face with black pepper and cured meat. Syrah is that nice girl that you bring home to your parents, but she brings a change of clothes [aka, a mini skirt] to put on in the car on the way over to the movie. Structurally, Syrah is generally quite robust with medium to high tannins along with elevated acidity, once again, making it a rather age worthy wine. You will find Syrah dominating the plantings in the Northern Rhone Valley (France), where they are making some benchmark examples. Of course, Australia has welcomed Syrah with open arms and fondly changed its name to Shiraz, while also making some absolutely stunning wines in regions like Barossa and McLaren Vale. An interesting note on Syrah/Shiraz is that it is often blended with a white grape called Viognier. In the highly respected and premium region Côte Rotie [Northern Rhone], it is permitted to blend up to 20% (though usually less) Viognier with Syrah to make the finished wine. This has also been adopted worldwide and is used frequently in the McLaren Vale. Viognier can add an elegance and delicacy to the wine and usually enhances the floral aroma being that it too is highly floral itself. Pinot Noir - The heartbreak grape; an appropriate name for a few reasons. Firstly, it is very difficult to work with in the vineyard thus being deemed the heartbreak grape for breaking so many winemaker’s hearts, and because of this, it can also be quite heartbreaking when you spend a good pile of dough and are left with an otherwise uninteresting wine...it kills me in the worst way. I am extremely fond of a good Pinot Noir as it is delicate and elegant while still possessing power, and can also be extraordinarily complex. A grape that is extremely rarely blended and left on its own to stand tall, Pinot Noir is responsible for the majority of the world’s top 10 most expensive wines. Expect to find an abundance of red fruit on the nose with red cherries usually being quite distinct, but it often doesn't stop there. Another red wine that has a tendency to be a bit floral, although usually a little more subtle, Pinot Noir has a distinct, earthy nuance that can smell of compost, damp forest, or mushrooms, and if you’re really lucky (as I always love this smell) truffles. The structure of Pinot Noir is quite delicate other than its elevated acidity. Tannins are usually low to medium and the body is often not overbearing with the lower levels of alcohol. You can find some of these uber expensive wines (or some affordable ones) in the French region of Bourgogne [Burgundy] where it is the only permitted black grape alongside its white counterpart, Chardonnay. There are technically a few other grapes permitted to plant but for this blog, I don’t think it is important to mention them. New Zealand has found that Pinot Noir does rather well on its Southern Island, particularly in the region of Central Otago. The US has also been successful in making world class Pinot Noir, once again, most notably in California; though Oregon, as of late, has become highly sought-after land for planting the heartbreak grape so look for wines from the region of Willamette. Cabernet Franc - I have been sitting still and flipping through my mental rolodex of black grape varieties all-the-while considering what should be my fifth. It should not be so difficult since there are thousands of them planted around the world, but when I sit and rack my brain only so many of them are planted and recognized worldwide. So I skipped past Malbec, Sangiovese, Tempranillo, Zinfandel, Grenache, Nebbiolo, Gamay and a handful of other completely worthy considerations and quite selfishly decided to highlight Cabernet Franc. It will be no surprise to anyone that knows me personally since I have devoted a big part of my life to Cabernet Franc, so let’s get on with it. Cabernet Franc is a very old grape that is perhaps responsible for many other grape varietals by way of crossing. For instance, it is definitely responsible for Cabernet Sauvignon when Cab Franc got it on with Sauv Blanc some many years ago. Cabernet Franc has long been the bridesmaid (and rarely the bride) as it is often used as a smaller portion of a Bordeaux style blend or "Meritage", but that seems to be changing. Cabernet Franc is an aromatic varietal that can show both red and black fruit character, and where it really sets itself apart is with its tendency to have high levels of herbal and vegetal aromas; because of this, it can be difficult to work with as you need to be careful that those aromas do not become overbearing. When done right, it creates a wine that is complex and deep with nuance of red and purple flowers, savory herbs, tobacco, bell pepper, and hints of leather. The structure is generally on the medium to high side with elevated tannins and acidity. This grape is planted heavily in the Loire Valley [France] as well as Bordeaux again, both on the right and left banks (though heavier on the right). It has also found success in the US, once again mostly in California, and notably being made with great success in the Canadian Regions of Niagara-on-the-Lake [Ontario], and starting to find its place in the southern regions of the Okanagan Valley [British Columbia]. Now I am positive that I have left out some grapes that certainly need mentioning and some questions that certainly need answering, but this is to be used as a starter guide. So comment below and tell me what grapes you want to know more about or what questions are burning a hole in your brain. I will be sure to include them in my extended guide to red wines, or maybe I will just riff on some popular requests during a long flight or a boring night...Either way, I certainly hope this is a good start! Going To A Wine Show? 5 Things You Should Know! A few days removed from one of Canada's largest wine and food shows, I felt the need to throw a few tips out there to help you get the most out of your next big wine event. I know what you’re thinking... Isn't it as easy as grabbing a glass and tossing back as many samples as you can until you find your favourite? The answer to that is no... Not so much. So at pretty much every wine and food event, show, or festival that I have attended, the organizers almost always put together a rather informative floor map to tell you where each vendor is situated. This is super important especially at the beginning of the show as taking a wrong turn or heading down the wrong isle or getting stuck in the wrong alley can (depending on the show) set you on a path that gets you to everything you don't want, and a long trek away from everything you do want. The maps are also pretty handy when it comes to washrooms and water stations, and believe me, those two things could probably be argued as the most important locations of the evening. Keep in mind that every show is different and some are easier to get around than others, having an idea where your headed at the beginning can really help you when it comes to a few more things I am about to list. This one is a bit simple to understand once someone says it, but seems to be further from common sense than I thought. When you are cruising around the event floor, winery to winery and tasting glass in hand, it is pretty obvious that you will become slightly intoxicated (or maybe not so slightly) by the time you hit a little past the halfway point of your evening... It is usually a long event and there is usually a lot to taste. So that being said, when you start your tastings I always recommend that you give the more premium wines a try first. This does go against some conventional wisdom of starting with lighter wines and working your way to the more full-bodied examples, even though light to full bodied doesn't really have anything to do with quality (contrary to popular belief). If the show you are attending uses a ticket system, for example, and you stop at your first booth to taste their feature wines ranging from 3 tickets per pour to 10 tickets per pour, don't shy away from the 10 ticket wine because it is your first stop -- you will likely be more alert at that point and probably pay a little more attention to what you are tasting. That being said, it is not a bad idea to try more than one wine per booth and work your way into their more expensive wine as they probably have some correlation and you will better understand what makes that high-priced wine worth more. Do this instead of jumping from booth to booth, inevitably comparing apples to oranges, and you may find that you are enjoying more wines than you previously thought. If you really want to try as many wines as possible while staying alert, use those empty chrome cans on the side of each tasting table (they are spit buckets) and I promise we don't get offended. The most horrifying thing any winemaker or representative will see at any wine event is that person that walks up to them and holds out their glass with that fresh layer of beer foam sticking to the sides of their glass... NO!! You cannot try the Cabernet Sauvignon!! (not until you rinse at least). Another common sense, that isn't so common, is taking the second or two to give your glass a good rinse before taking your next sample. There should be a rinsing station at every sample table no matter which show you attend, and if there is not, make sure you know where they are. Even if you are going from white wine to white wine, or red wine to red wine, give the glass a quick rinse with water and try to start as fresh as possible. The amount of Rosé that I saw walking around at last weekend’s wine event when I knew there was certainly not any Rosé being poured was quite comical. Always remember, there are men and women that get paid very well to blend wines, and even they don't get it right every time. This is a tip not to be forgotten. I see countless people take a sip, analyze, and proclaim that it was the best wine they have tasted all day, only to then turn around and walk away to the next vendor, surely forgetting that sip and the wine responsible for it. Unfortunately, there are many instances like this and probably a lot of disappointed people when they head to their local wine shop and try to fumble their way through a description of the wines label, or try to pull some familiar words out that COULD be the first or second word in the wineries name, usually to no avail. One simple answer... CAMERA! We all have one and we all use them, so pull that thing out and snap a quick shot of your favourites so you can enjoy them at home. I have had a few people bring up the usefulness of apps like Vivino and other wonderful wine review and information services. I personally think for the purpose of a wine event or tasting, allow your opinion to be the only factor through the night and stick to using your camera without the aid of an app that will fill your head with a bunch of info that could sway your opinion after tasting something that you enjoyed. This time when you go to your local shop you won’t need to remember anything other than the fact that you loved the wine, and want to buy it! The beauty of attending a big wine event is that there is bound to be some wineries that you have never tried. It is also a safe bet that you will see some of your big name favourites; but if you don't have the time, skip some of those in search of something new. The world of wine is such a vast ocean that you have to take every opportunity to discover the new and emerging wineries that are poised to make their mark, and what better place to do it than a room full of winemakers. If there are also food vendors at the show or festival you attend, try pairing some of the dishes with a few wines. It is not super common to have a plethora of food and wine in one room and what better time to experiment and find something delightful. Enjoy your next wine show, tasting, or festival everyone. So now we have an idea how it's made (if you have already read Part 1 that is) but let's talk style; and ohhhh yah, wine has style! Or at least it has...styles? So what is a wine style exactly? A wine style is essentially the category that a wine falls under, and I don't mean light or heavy, but more of a broad category that encompasses many sub-styles within it. Wine styles are a common misunderstanding with the general wine crowd as many wine regions have become synonymous with certain wine styles, and therefore become sort of like Kleenex, and taken over the whole world of that style of wine; think Champagne. So let's get to it and start defining the categories, and don't worry, there really is only a few and I'm not even getting into bubbles this week. White wine. Pretty easy. I will expand a bit. Of course we all know what white wine is but I should give a bit of extra description at the very least. White wine can be made with many different grapes or any combination of many different grapes, and thus it can appear in a variety of colours from pale straw to deep amber and everything in between. It is not uncommon for white wines to have some residual sugar left after fermentation, and have an obvious sweetness without being a sweet or a dessert wine. Here are some common white grape varietals that are good to be familiar with and you are bound to find at any wine shop or on any restaurant list. Chardonnay - Always jockeying for the most widely planted grape varietal in the world, Chardonnay is a name almost everyone has heard, wine drinker or not. Chardonnay is perhaps the most versatile grape variety on the planet, thriving in the coolest climates of the world and then making beautiful examples in some of the warmest just the same. Because of this it is difficult to give a general description of what to expect from a Chardonnay. It is important to note that Chardonnay is a white grape that responds well to oak contact and therefore many regions around the world use oak ageing to offer complexity and body to their wines. Pro Tip: For fresh, crisp, and citrus driven Chardonnay look for Chablis, and for a heavier style likely spending time in oak and driven by pitted and tropical fruits, head for a Californian example. Sauvignon Blanc - A grape that has skyrocketed in popularity over the past few years, Sauvignon Blanc is a powerful aromatic variety that is full of aroma complexity right out of the gate. High in herbal aromas and often tropical fruit, Sauvignon Blanc is more likely to age in neutral vessels like stainless steel to retain its varietal character. Pro Tip: If your having trouble finding the right wine to pair with your salad, pick up a Sauvignon Blanc and let its high acidity compliment your vinaigrette and herbal aromas bridge with your greens. Riesling - A sommelier's best friend! Riesling is a grape that is made in almost every single style imaginable. High in acidity and aromatics, Riesling is almost never aged in oak. An extremely food friendly grape, Riesling has the ability to partner with almost any dish conceivable because of its many styles. With a bit of a reputation for being sweet, Riesling is a grape that everyone should give a second chance, as almost every sommelier will tell you, it's one of the greatest grapes out there when done right. Pro Tip: Riesling has the ability to age for a loooooong time, so find yourself a handsome bottle and set it aside for a decade...you will thank me if you remember reading this. Pinot Gris/Pinot Grigio - Perhaps more well known as Pinot Grigio, Pinot Gris is a relatively neutral grape varietal that tends to be mid-to-high acidity and driven by apples and citrus. There are some outstanding examples made in many parts of the world, however both Alsace [North Eastern France] and the [North Eastern Italy] regions of Trentino-Alto Adige and Friuli make some of the worlds best. Pro Tip: The next time you have a pasta with a creamy white sauce, give a Pinot Grigio from Alto Adige a try. It is wonderful how the sauce and the wine seem to boost each other's flavour while the acidity in the wine helps cut through the heavy sauce. Gewürztraminer - Don't be afraid of this grape because of its ridiculously long (and seemingly impossible to pronounce) name, Gewürztraminer makes as pretty a wine as could be conceived. Described as anything from "my grandmother's closet" to "walking through a greenhouse", a wine does not get much more floral than Gewürz. Extremely aromatic and often holding some residual sugar, Gewürz is a grape everyone should try. High in tropical aromatics and almost synonymous with lychee fruit, Gewürz is usually deep in colour and textured on the palate. Pro Tip: The next time you sit down in front of some spicy and flavour packed Indian cuisine, you absolutely have to give an off-dry Gewürztraminer a try. With more than enough aroma and flavour, and that bit of residual sugar, Gewürz will be a match made in heaven! Of course there are so many wonderful white grapes that I could highlight and it kills me to not mention a few more but I want to keep this basic for now and I think this is a pretty good start. So stay tuned for my Red Wine Basics coming next week and let me know in the comments section what other white wines you want me to discuss. I will be releasing a much more extensive list of grapes you should know, and some of my favourites, but I would love to hear some of yours too. As always, get out there and taste some more wine! Why do I do this to myself... How is it made, really? Well here goes the start to a very, very long segment written over and over by much more educated people, but who cares about them, heres my take! To start talking about how wine is made, you first need to understand that we are talking about agriculture, because at the end of the day, this is just fancy farming. As with all agriculture, there is a dependence on Mother Nature. Starting with the location, which will then dictate to a certain degree the weather patterns, and then of course there is soil type and things like elevation, bodies of water, currents within the bodies of water and so on, and so on, and so on. So to keep the basic location of where it is possible to grow grapes intended for winemaking simple, lets consider the 30-50 rule as a baseline. The 30-50 rule is simple. In order to have proper seasonal weather that is suitable for grape growing intended for winemaking, you must be between 30-50 degrees north or south of the equator. When you are closer than 30 degrees, it will be to warm and the vines will not have the much needed shutdown period due to the winter months, and above the 50th parallel it is of course the opposite, and far to cold to successfully ripen the grapes by harvest time. There are some exceptions to this rule, and with climate change warming up some of the cooler regions just outside this zone, we will likely see the rule stretched more and more over time, but as a baseline the 30-50 is still a good rule to begin with. Once you arrive at the vineyard, things start to get increasingly complicated. but lucky for me and whoever is reading, this is just a 101, so I intend to drastically simplify. 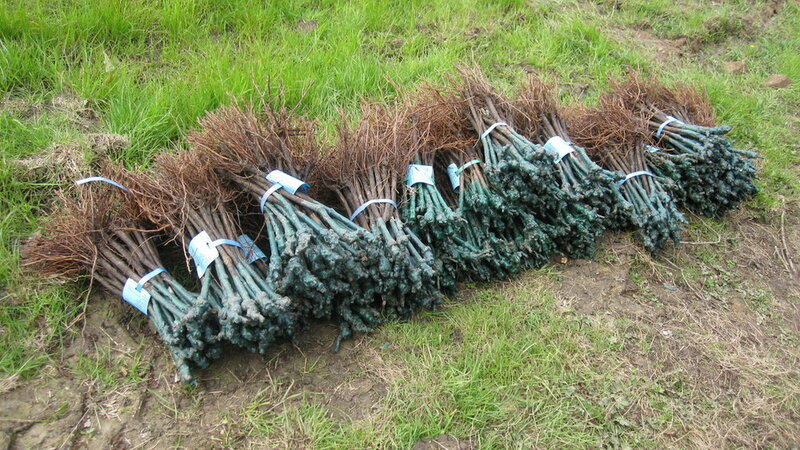 To begin - vines must first be planted of course. Now with grape vines, you can not simply plant seeds, as the varietal of the vine itself is of the utmost importance when making wine, so you must source a clone of the particular varietal you are looking for in order to ensure that what grows is in fact what you want. Once you have selected this clone, you can go ahead and plant. After planting, there is a period of waiting that I can only imagine to be awfully frustrating. It is about 3 years minimum before the vines are strong enough and producing suitable fruit until the first harvest can be conducted. Fast forward three years or so to now having the ever so intricate and perhaps even more heartbreaking (or celebratory) growing season. This is easier when broken down into stages, as that is in fact how the grapes mature through the season. Bud Break - The early sign of activity. Small shoots and some leaves will break through the buds around March/April (Northern Hemisphere). This is when the vine becomes susceptible to frost. Flowering - This will happen some time between 6-13 weeks after bud break. The pre-mature bunches (embryo bunches) will start to bloom into small flower clusters for around 10 days. This is one of my favourite times as it is a beautiful sight to see, but equally scary as this is when the flower bunches that will hopefully mature into grapes are most vulnerable to the effects of cold, frost, and high winds, among other risks. Fruit Set - The embryo bunches will then develop into berries, and start to resemble what most can identify as grapes. No matter what the colour of the grape, whether it's black or white, these bunches will start off green, almost like a bunch of peas. Much of the berries will not set properly and fall away during this period. The grapes then grow but remain hard and very acidic throughout most of July. Veraison - This is where the grapes begin to actually ripen. Starting in August, depending on climate and vintage, the leaves will start to transfer sugars and the berries will begin to change colour. Black grape varietals will turn red/black and white will become yellow/green. This is where the sugar levels will increase and the acidity will decrease approaching the ever so important next step. Harvest - Finally we are here! This is the ever so important time of picking your grapes and ushering them on to the winery. Because grapes ripen individually there needs to be ample care when selecting your berries, sometimes even selecting them one by one through multiple sorting stages. This also needs to be completed very quickly and with intensive care, as there is once again a period of vulnerability when removing grapes from the vine. Once the vineyard work is complete, the grapes are then brought in to the winery. This can sometimes be a very short trip if the winery is situated within the vineyard, however, it is more likely that there is a distance of some sort traveled to arrive at their next destination. Once the grapes arrive they will usually go through additional sorting to ensure that the best of the bunches have been selected and their journey to becoming our favourite beverage continues! This is where the complication, intricacy, and inevitable confusion continues, but don't worry, I am keeping it simple. Crushing - Once the additional sorting is completed and the majority, or all of the "matter other than grapes" (leaves, bugs etc.) has been removed, they will continue on to the crushing, and usually destemming, process. 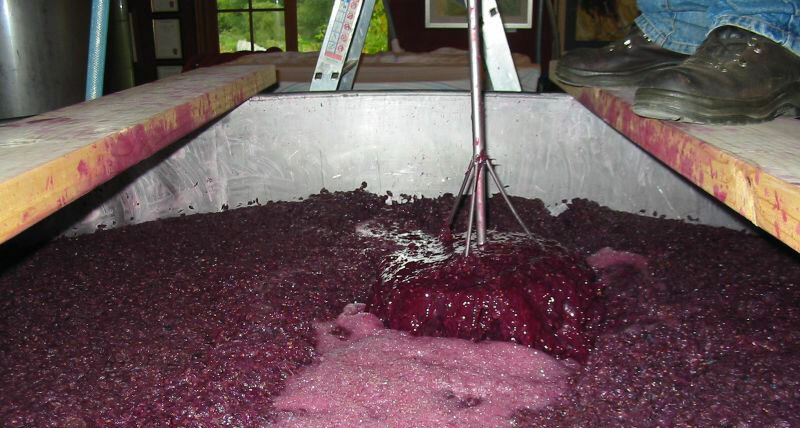 Fermentation [Sugar to Alcohol] - Now that crushing/pressing is complete, the grape juice [actually referred to as the grape "must"] will be put into a vessel that is optimal for yeast. Red wines will be put into fermentation vessels with their skins for a period of time. The skin and juice contact is where the colour is extracted along with the tannins. The longer and more aggressive the skin contact, the more colour and tannin will be extracted. White wines are fermented juice only, having the skins removed after the grapes are pressed and before the must is set for fermentation. Fermentation can be quick or slow depending on many factors in the choices of the winemaker, but essentially will take place until the active yeast has consumed all of the fermentable sugars, thus creating alcohol. Ageing - Once fermentation is complete, ageing is a process that has an infinite amount of variation. Both red and white wines can be either released very early or aged for an extended time in many different vessels. The choice of how long and/or what vessel is one that is made with careful consideration. A wine can be released anywhere from a few months after fermentation to many years after fermentation. Some regions have regulations in place that mandate the minimum ageing requirements and the type of vessel that must be used. Examples of ageing vessels range from stainless steel vats to small oak barrels or concrete eggs to clay amphora, each lending a different development and unique flavour. Filtering and Bottling - Now that the wine has finished its long and complicated creation, it is time to get it into a bottle. Before this is done it is typical for the winery to fine and filter the wine. There are many methods for this process but the end goal is to have a clear and bright finished product. Some wineries will decide to bottle their wine unfiltered for various reasons, but it should be noted that a wine like this should usually be decanted to avoid getting a mouthful of sediment. Additional Bottle Ageing - Once the wine has been bottled it needs to rest for a period of time before being released. This can vary and is executed for different reasons from winery to winery. No matter what the wine is, it will need a short rest period to get over what is commonly referred to as "bottle shock" which is simply a period of time that the wine needs to re-settle after going through the rather aggressive bottling process. For some wines, mainly robust red wines, they will need an extended time in bottle to further develop and start to show their desirable characteristics (Barolo, Bordeaux, Rioja, Côte Rôtie, etc.) and therefore some wineries will rest their wines in their cellars for multiple years before releasing them to the public, and once again, some of these regions actually have regulations mandating their minimum cellar time before release. So now that someone has gone through all of that tedious and incredibly difficult process of making wine, we must do our due diligence and consume as much as we possibly can!!! In all honesty, I have such a deep love and respect for the artists of the wine world. It is a craft that continues to evolve and requires a passion that is beyond description. The variations of style and intention when making wine are endless and that is what makes it so exciting, but this should get you on the right path when it comes to understanding the basics, and I can't wait to continue the path with Part 2. Thank you for reading and check back soon. The greatest way to travel has to be from winery to winery no? Well here is a quick guide to making sure your not letting anything get in the way of that grand experience. The single biggest mistake people make when venturing off to a magical place full of wine is bringing their preferences with them. Yes yes yes. I understand we all like different things and that some of us don't like certain things BUT…forget about it! If I had a dollar for every time I have heard the dreadful statement, “Oh I don't like Merlot” - Gahhhhh! Bless Paul Giamatti and that wonderful movie but c’mon people, Merlot is responsible for someof the best wines on the planet…I wonder if I offered them a sample of Petrus they would turn their nose up? Yah, guess what - Merlot! So aside from my rant on the Sideways stigma that still plagues tasting rooms 13 years after its release, it is always a treat to try new things; and when touring a wine region forgetting all of your preferences at home can open up a whole world of exciting new discoveries that you may carry with you for the rest of your life so…Open up! - and always have a glass. So this one I always have to remind myself of. Being a Sommelier I usually have a good sense of the places I visit, however, if I were to allow my knowledge to get in the way of listening and observing while visiting, I would have missed out on some of the greatest lessons of my career. Something I have learned over the years is that there is only so much you can learn from reading books or tasting wines. Visiting the places themselves always shows the real depth of the region, and will surely open your eyes to an amazing wealth of lessons that can give you an understanding of wines impossible to achieve without immersing yourself in the places that they come from. So do yourself a favour and pretend you know nothing, and by the time the tour is over you will undoubtedly have picked up knowledge that you will never forget. Okay don't actually lose your watch, but I'm sure you know what I mean. Worrying about the time on vacation is always a bad idea, but when you are trying to enjoy touring a winery and tasting their wines, it is a sure fire way to mute your senses and miss all of the fun. The thing you need to realize about visiting a winery, especially the ones in the Old World, is that a tasting/tour can take longer than you have planned, and that is perfectly okay, trust me. Some of my fondest memories of touring a winery have come when unexpected delays kept me at a winery for an extra few minutes, or hour…or many hours; oh the stories… Something to also consider is that even if your tour/tasting is on time, being concerned about your itinerary can mess up your experience either way so leave that to your tour guide. When you are tasting a wine and listening to a passionate representative or tour guide explaining the winery’s process, you really do have to have a certain level of focus. This is not to say you have to take yourself too seriously, but a little concentration is what it takes to lose yourself in the beauty of the winemaker’s creation. This is something I wish I could go back in time and tell every up-tight wine snob that I was leading through a tour. I certainly don't want to be mean, I'm sure some people are just a bit more particular about how they like to enjoy their wine and want everyone around them to know it, but let’s be honest, it is a bit annoying. What I mean is that there is no reason to insist that everyone around you performs every action of their wine tasting with perfect precision, and furthermore, no reason to worry about performing any action incorrectly yourself. While there definitely is a method to tasting wines, and many observations you can make about aroma, structure, flavour and other intricacies, doing it “right” is only to be worried about when your in a professional setting. Like anything else, when your enjoying something at your leisure, just enjoy it, in whatever way you please. The thing about wine is that when it is all said and done, all wines are crafted to be enjoyed and shared with whomever wishes to partake in the enjoyment, and what better place to enjoy them than at the place where they were made. So, kick back, relax, and enjoy the wine. Taste it how you wish, sniff it how you must, and by all means, ask any and all questions that come to your mind; after all, there really aren't any stupid questions (okay theres a few but lets just assume you won’t ask those). So this will seem completely contradictory to number 4…but hear me out. What I mean by this is that if you know that you are going to be headed out on a vacation based around wine, do a touch of research and get familiar with the area you are visiting. The reason I suggest this is that with a little bit of base knowledge, you will probably find that your level of excitement for the events you are about to partake in will grow exponentially, and you will undoubtedly have an even better experience once you arrive. Another tip is to learn a little bit about tasting wine. I know I just said that you should kick back and relax, and you should, but getting a little familiar with what you are trying to taste and a couple of tips on how to taste them will really amplify your sensory satisfaction. One thing to remember when you are tasting wines is that you should never, ever, ever be shy to say you taste something. Usually when you are on a tour, you will have someone leading you through your tasting and speaking about what you will taste or smell, which allows that person a chance to help you fine tune your palate and inevitably improve your ability to taste, giving you more and more satisfaction every time. One more thing…everybody has been extremely wrong about an aroma they think they smell, or a flavour that they think they taste, so throw caution to the wind and blurt out whatever you wish. The worst case scenario is that it brings some laughs, and there is nothing wrong with that. So get out there and see the world people! There is wine to be tasted, food to be eaten, and some of the most beautiful scenery in the world. Enjoy! Where do I begin! To be truthful it really is hard to start, I mean when you love something so thoroughly, it can be difficult to grasp why others aren't so enthused, or why they are surprised when they are first exposed to your intense enthusiasm. So allow me to rephrase the title of this to, “Why I Drink So Much Wine”, this statement will be far easier for me to explain. First and most definitely foremost… It is delicious! Okay that is much to simple, so let us go a little further in to depth on the topic of delight. You see, wine is of course the simple blanket term for an unbelievably complex, and ever changing product that is produced in over 70 countries from countless different grape varietals and made in a plethora of different styles. What this creates, other than mass confusion and frustration by many studying and aspiring sommeliers, is the possibility for an absurd array of flavours, aromas, structures like sweetness, acidity and tannin differences, still, sparkling, effervescent, fortified (Port, Sherry) the list goes on and on and on. What this does for us the consumer is present the opportunity to explore a vast world of new experiences, and find new sensory pleasures or unexpected favourites along the way. What usually kills me is when I hear someone so “Oh I don't like wine”. This statement is more of a missed opportunity than a negative discovery in my eyes. Now I do not want to turn the whole world into wine lovers, but I do want to show as many people as possible that perhaps the greatest beverage ever created can not be summed up as “Wine”, and that while I certainly think that most peoples first encounter with wine is probably not all that positive - considering the equal amount of awful stuff that is made throughout the world is in large parts what ends up on the communal wine table at a party, I can completely understand not liking that wine, but my-oh-my is there so many more out there to try, and what better research is there than trying to find a tasty alcoholic beverage. So to conclude the point that wine is delicious, my main love for the pleasure I get from wine is that there are so many different renditions out there, it seems impossible that there is not a favourite for everyone. It is like the old saying goes, “Its not that the right one for you isn't out there, you just haven't found them yet”. The history!!! There is so much history! This one is a safety net for me when it comes to my studies. I am a bit of a history buff, and will admit that there are times when I am flying through content whether it is studying for an exam or researching for an event, tour or tasting that is coming up, it can get a bit dry. Do not, and I repeat, DO NOT take that admittance for my ever being bored of wine, but lets be honest here, sometimes work can get drab, and when that happens, I usually dive into some wine history books and it gets me right back to where I need to be. Through the years, and when I say through the years I mean a few thousand, there has been certain regions affected by catastrophe more than others, and in somewhat recent times, I can't think of one that has been hit any harder than the ultra recognizable and highly celebrated region of Champagne. Situated in North Eastern France, the region of Champagne that is responsible for the world's best bubbly, just so happens to be on the unfortunate route that the German forces took in both WWI and WWII when marching into France. This was of course absolutely devastating for both the vineyards, and the millions of bottles of wine stored in the kilometres of cellars underground. What is so fascinating to me is the perseverance and defiance of the Champagne houses to push through these awful times and remain to be quite possibly, the world's most recognizable wine region, at times even harvesting under mortar fire as the stories explain. This is certainly not the first example of the wine world pushing through tough times. Before that there were many more wars, there were religious and political movements that condemned the consumption of alcohol and if it weren't for other religious groups that hid their production behind service and faith, we could be left with regions diminished before they ever blossomed. 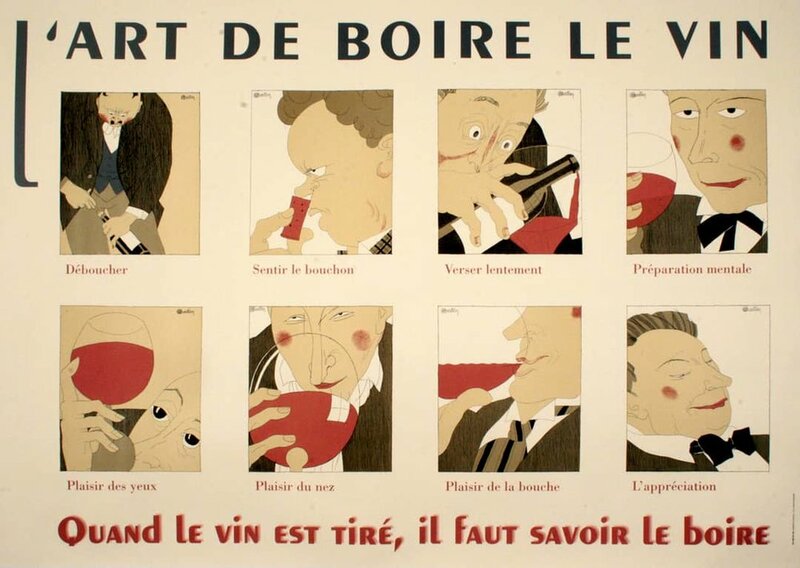 So why should history be any reason to drink more wine? Because every time your enjoying a glass of wine, you are also becoming a part of a history that simply will not give up, and I want to contribute to that sentiment as much as I can. "When you have the right match, you will be bursting through those doors like Kramer craving Chinese food"
Do you like food?! Silly question, who doesn't? My philosophy is simple, you must eat, you must drink, so why not enjoy the hell out of it? Okay maybe wine isn't water so I guess you don't "have to" drink it but I take things the way I wish, and I say its mandatory. Of all the reasons I give on why I drink wine and you should too, this is probably the most important. Wine is beautiful all on its own, but there is no better stage than when properly paired at the dinner table. Demonstrating the power of good and bad pairings is one of my favourite things to do with people new to their passion or interest in wine. I look at wine and food pairing as if I am either opening or closing doorways to flavour, good or bad it can surely go either way, but when you have the right match, you will be bursting through those doors like Kramer craving Chinese food. Now what I mean by opening and closing doors is really quite simple, and I will try to do this quick as this is just a statement and not the whole explanation, I will have to write more than one blog to cover even a portion of food and wines marital intricacies. So - certain structures and flavours in food and wine can either raise or lower each others intensity, thus causing the food or wine to taste different on the following bite or sip. For a simple example, if you are having a spicy curry, and you really like full bodied red wine, you are in for a nasty surprise. Unfortunately in that case your full bodied red wine which likely has an elevated alcohol content, will increase the perception of heat in the dish, and the heat in the dish will also increase the perception of alcohol in the wine, thus essentially causing your wine to taste more alcoholic and closing the door on some of the niceties that you enjoy, while setting your mouth on fire from the curry and turning you into a sweaty mess at the dinner table in front of your hot date. If you do in fact want to actually enjoy the delicious curry, you would be far better off choosing something like an off-dry Gewürztraminer. Now don't let the ridiculously long and hard to pronounce name turn you away, this wine will save you from looking like a nervous sweater with a runny nose after all. This is because by having some residual sugar being off-dry, it will help calm down the heat in the dish, and Gewürztraminer definitely has enough flavour intensity to stand up to the big spicy flavours in that curry, so leave your big red wine pride at the door and take advantage of some wine science. So in a nutshell, if you haven't done a few experiments and ventured outside your comfort zone when it comes to choosing your wine at dinner, do yourself a favour and open a few more doors along the way. Now to avoid running on and on and on and on, I will keep my reasons at three, or I fear that I will never conclude as I find more reasons with every sip of this delicious yet off vintage 2002 Solaia Annata Diversa, a triumph of an otherwise off vintage...like I said, I must conclude before I write a novel of run-on sentences.